Kenyan opposition leader Raila Odinga has called for calm as a standoff over the country’s presidential election continues. Odinga withdrew from the race and his supporters boycotted Thursday’s rerun vote, causing turnout to plummet. Now Odinga’s described the process as a circus and called for another contest within 90 days. “I think they were a sham (elections rerun of Oct 26) is the best way to describe them. 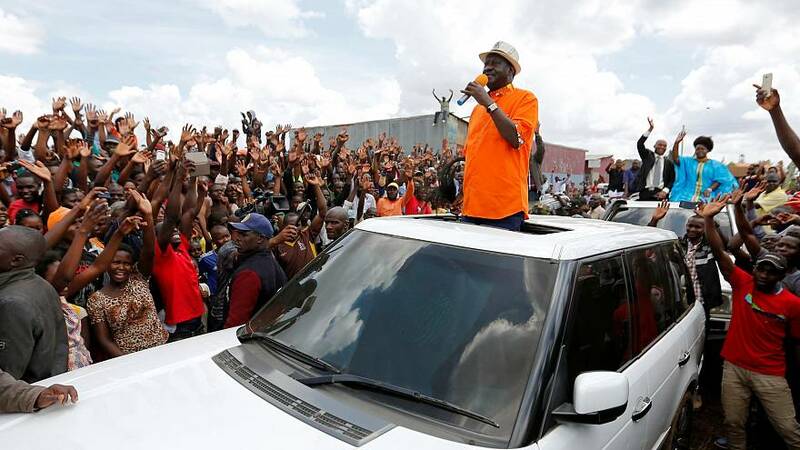 I think they were really not elections… The turnout is 3.5 million but he has already scored 7.2 million that basically adds to what you can call a sham election, shambolic you’d call them,” said Odinga. Odinga’s withdrawal from the contest means Kenyans are eagerly waiting for the final turnout figures rather than the result. It’s certain President Uhuru Kenyatta’s hopes for a decisive mandate have been severely damaged. Now anger surrounding the ballot could risks sparking further deadly violence between rival ethnic groups.